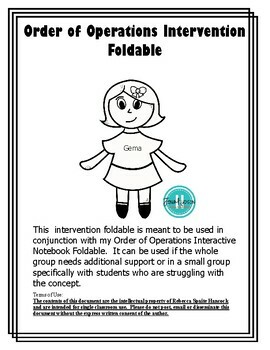 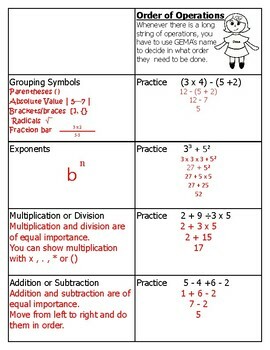 This intervention foldable is meant to be used in conjunction with my Order of Operations Interactive Notebook Foldable. 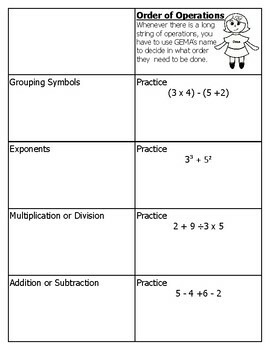 It can be used if the whole group needs additional support or in a small group specifically with students who are struggling with the concept. 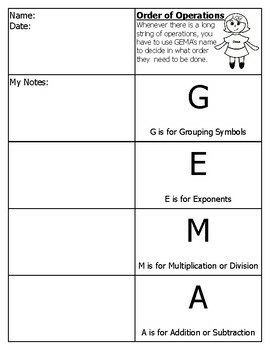 This foldable is also part of my Order of Operations Unit at a significantly discounted price.